Highest ranking since Oct./22/2018 : #1 lockser #1 natsuxjuvia Juvia Lockser a common teenager who attends to Magnolias famous private high school 'Fairy Tail Academy'. Natsu Dragneel known as the school's bad boy and badass. But one of these two particular students is a vampire .Natsu Dragneel struggles and keeps hidden very well the fact that he's a vampire . But when Juvia suddenly bumps into him in the cold moonlit and post lighted streets alone . What happens after ? Will Natsu kill her ? Turn her?Compell her to forget ? 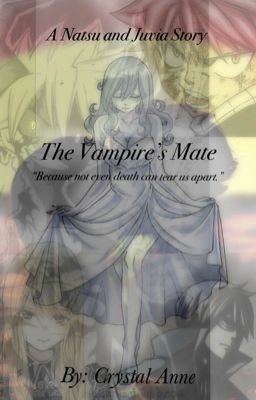 Find out in and go on Juvia and Natsu's crazy bloody,dark ,and filled with mysteries love ride . A/N I DO NOT OWN FAIRY TAIL ALL CHARACTERS RESPECTFULLY BELONG TO HIRO MASHIMA . I ONLY OWN THE PLOT AND STORY LINE . GOODLUCK HOPE YOU GUYS LIKE IT .